Can you imagine a world without wind? I have to admit wind is not one of my favorite things. It ruins hairstyles, knocks umbrellas down and causes chaos at picnics, just to name a few discomforts initiated by the unseen force. Yet, wind is an important element in our world. Would you expect trees to fall over with no wind? That is exactly what happened in Biosphere 2, a three-acre research center beneath a glass dome in the Arizona desert. Trees growing in the huge windless bubble grew faster than normal, until they collapsed under their own weight. The project researchers finally came up with the explanation. The trees needed wind stress to grow deep, strong roots. Most of the women in our Chrysalis programs have been raised in environments that didn’t offer opportunities to grow the healthy roots needed to stabilize them through the hard times. They’ve had negative and unproductive life experiences, which created shallow root systems that did little to help them withstand life’s difficulties. Strong roots can be developed, but they don’t come easily. When we forgive those who’ve wronged us and most of all, for-give ourselves, we rise above our circumstances. We learn how to use our pasts to grow deeper, healthier roots and establish solid foundations to live better futures. To grow strong and resilient, we need love, purpose, forgiveness, self-acceptance, hope and so much more. My name is Shanna, and I’m a Chrysalis graduate. While I was going through the Life Style Changes 18-month program, I worked in housekeeping at several of the hotels in Boise. Although I was grateful to be employed, I desperately wanted to find a career I loved and that would support me. 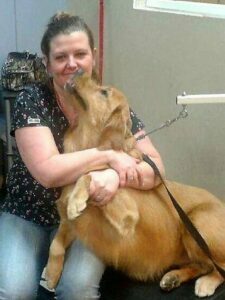 About a year ago, I started working as a dog bather and really enjoyed working with the dogs. After a few months, I decided I wanted to be more than a bather and began going to school to become a groomer. I worked part-time and went to school part-time to receive the training I needed. The journey has been amazing! I recently received my grooming certificate from Boise Dog Barber Shop and have a career I love. I enjoy my work and I make twice as much as I did as a bather, which is a huge bonus. While in the Chrysalis program, I memorized Jeremiah 29:11. “For I know the plans I have for you” says the Lord, “plans to proper you and not to harm you, plans to give you a hope and a future.” I see my future as being prosperous and limitless. 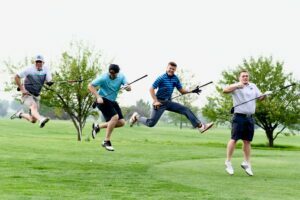 By all appearances, our 7th Annual Chrysalis Golf Event was doomed! The day of the event was right in the middle of those “don’t go outside” poor air-quality alert weeks. No matter how much planning and preparation went into this day, some golfers wouldn’t be able to attend due to health reasons. But we kept praying, and God sent a breath of fresh air across Falcon Crest Golf Course the morning of September 8th, and even a few drops of rain to clear the skies! He saved the day and reminded us once again exactly Who is in control! And, wow, how He did bless our Chrysalis butterflies! One-hundred-and-eleven golfers with hearts of gold, all looking for pars and birdies. Thirty corporate and individual sponsors, all pledging their support. Nineteen volunteers, all making certain the event was perfect! We are grateful God blessed us and turned a smoky day into a beautiful one. The 2018 Chrysalis Annual Golf Event is scheduled for September 7th at Falcon Crest Golf Course. You are cordially invited to enter a team ($480/team includes fees for all day and lunch); sponsor a hole for $100 or more ); or volunteer to gather auction items or help staff the event. 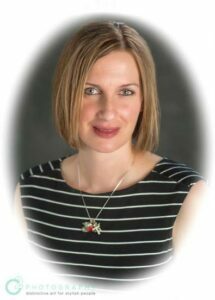 Contact Connie@chrysalisidaho.org with questions or to volunteer!